For the best flavor and safety, grind your own meat. Yes, you can buy ready ground beef at the grocery store or butcher but I strongly encourage you to consider grinding your own! Don’t own a meat grinder? If you have a food processor this is still an easy task. 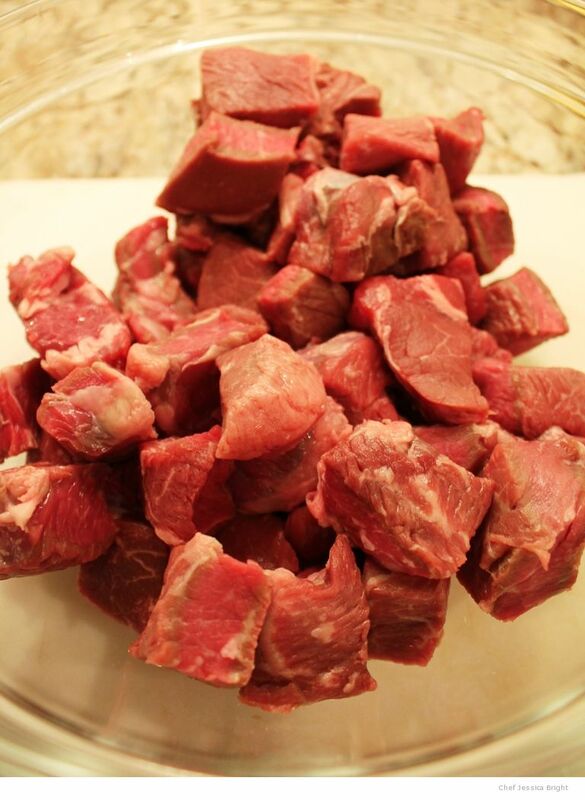 Simply cube the meat you intend to grind in 1″ cubes. Place some of the cubes in the work bowl of your food processor (not filling it more than half-way) and pulse until the meat is your preferred consistency. 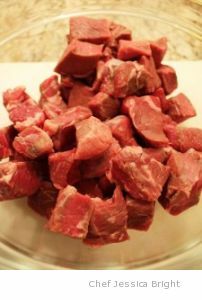 Remove the ground meat and continue to process any of the remaining cubes of beef. When all of the meat is ground, season according to recipe instructions. *Do use caution when working with raw meat or poultry, avoid cross-contamination – find guidelines here. Make your own delicious, juicy burgers! Mix all the ingredients except the beef, then distribute over the beef and gently work it in with your fingers, being careful not to overwork the meat. Shape 4 patties with a slight indentation in the center. Grill the burgers over direct medium heat for about 8 minutes, turning once halfway through. Toast the buns on the grill while the burgers are resting and serve with your favorite condiments.